Having personalised items for Paige and Parker is one of my favourite things to buy. Paige now recognises hers and Parker's name so that adds to the excitement of the gift. 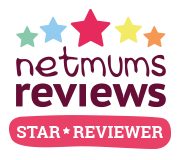 Teeny Beanies are a lovely little online shop that have some gorgeous items. We were kindly sent a personalised bean bag for both the kids. There are three sizes. Small 3-5 years, medium 5-7 years and large 7 years+. We were sent the small sizes. My first initial thought was that they were smaller than I expected. They are a perfect size for Parker but he is just 9 months old. I feel like they are good for 1-2y but maybe any older and you should go to the next size. Paige is really quite tall for her age and to get the most use out of the bean bag I would of sized up for her. You can see that she fits nicely on the beanbag but I don't feel like there is a lot of growing room. I picked to have Paige's name on hers and Florence Fairy purely because I thought she would love it and she does. She has even kissed it and regularly talks to little Florence. We keep hers next to her bed and she puts her special little toys to bed with Florence before she goes to sleep. Parker's also has his name on and I picked Melvin Monkey because Parker is such a cheeky little boy, even at 9 months old. His too sits in his bedroom and looks super cute. They make a lovely addition to any bedroom or nursery. They would equally look lovely in the main living room of the house which your child could sit on. Both beanbags are so well made. The names are gorgeously sewn on. The inner bag can be removed and washed. A great bonus with anything child related. The zip is also hidden so little hands can't find it. There are a range of gorgeous characters and I'm sure you will find one that you and your child will love. The beanbags would make a lovely gift and they are something that a child will use for many years to come. I have no doubt that they will be loved by Paige and Parker for many years to come. The beanbags start at £35 for a small one. I think considering the quality and that you are able to personalise them they are worth the price completely. 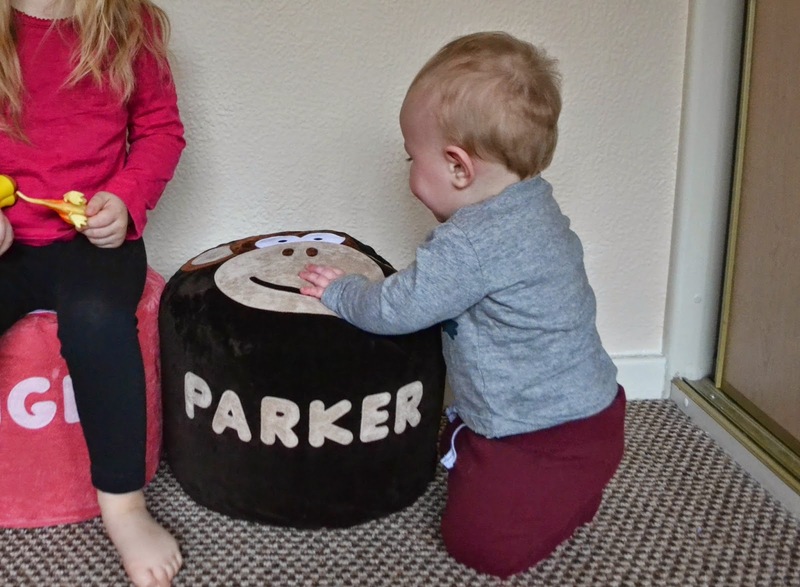 Would you buy personalised beanbags for your children? Oh my! They are so cute! I love personalised items for my girls. They are just perfect!